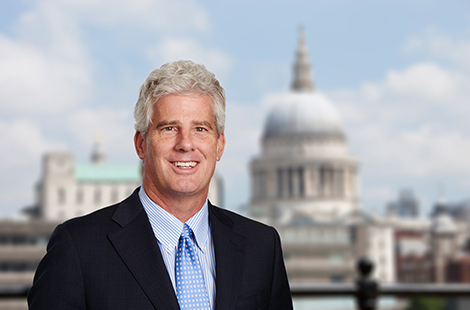 Doug Henderson assists in certain aspects of OHA’s European business, including sourcing investments and developing relationships. Mr. Henderson previously served as Co-Head of Europe, where he was responsible for directing OHA’s investments in European companies and co-managing the firm’s European operations. Prior to joining OHA in 2012, he was Chairman of the European Credit Finance Group in the Investment Banking Division at Goldman Sachs, with oversight of the firm’s Europe, Middle East and Africa loan, high yield, restructuring, structured finance and real estate finance businesses. In addition, Mr. Henderson was a member of the bank’s Firmwide Capital Committee and its Asian Capital Committee and served on the board of Goldman Sachs International Bank. He joined Goldman Sachs in 1999 and became a partner in 2004. Previously, Mr. Henderson co-founded and managed Merrill Lynch Asset Management’s first non-investment grade loan fund, which he built into a $14 billion credit platform focused on senior debt, high yield and distressed securities. He served on numerous creditor committees and played a leadership role in many restructurings during that time. Mr. Henderson previously worked in the leveraged buyout group at Security Pacific Merchant Bank. He earned a B.A. from Cornell University and an M.B.A. from the Johnson Graduate School of Management at Cornell.